Patients visit doctors complaining of a symptom, not a disease. It is all about the differential diagnosis of symptoms and signs. This is the main focus of physicians during patients’ interviews, right? OSCE stations, as well as real life patients’ interviews, have limited time. 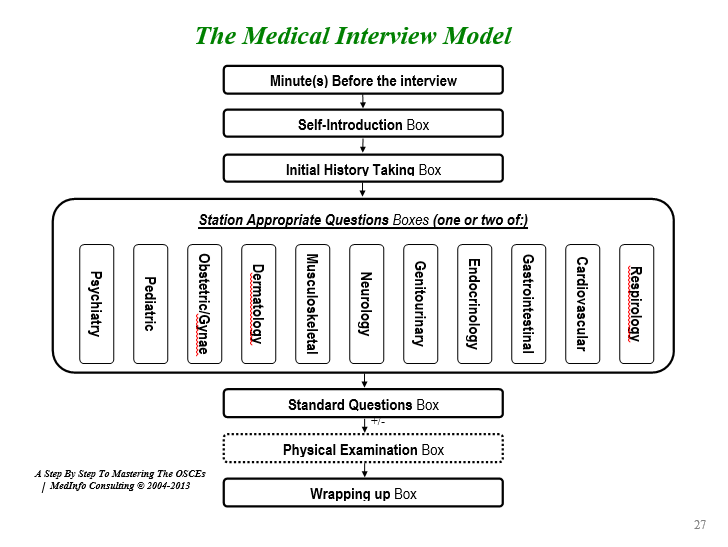 Physicians have no choice but to be focused and to organize the interview in a time efficient manner. On the other hand, physicians have to be vigilant not to miss anything! Obviously, there is a need for some sort of an approach that will fulfil both patients and physicians goals. An approach that will explore all the patients’ presenting issues in a limited time frame. An approach that will protect both the patients and physicians. The systematic approach took three of us a full year to finalize and eight years so far to tweak.